Diana Mariam Kurian, famously known by her stage name, Nayanthara, is an Indian actress who is primarily known for her work in Tamil, Malayalam and Telugu cinema. Hailed as the 'Lady Superstar' of South Indian cinema, she made her acting debut in 2003 with the Malayalam movie Manassinakkare, and her Kollywood debut with Ayya (2005). She has since appeared in over 70 films, enjoying tremendous box office success besides winning 5 Filmfare Awards and 6 SIIMA Awards besides earning top honours at the Tamil Nadu and Andhra Pradesh State Film Awards. Born to Kurian Kodiyattu and Omana Kurian, in Bengaluru, Nayanthara comes from an Orthodox Christian Malayali family. She has an elder brother named Leno, who is settled in Dubai. As Nayanthara's father was an Indian Air Force official, she did her schooling from two different cities viz. Jamnagar, and Delhi. She completed her schooling from Balikamadom Girls Higher Secondary School and attended the Marthoma College in Tiruvalla. Nayanthara holds a bachelor's degree in English literature. While shooting for the movie Vallavan in 2006, Nayanthara was apparently dating her co-star and director of the movie, Silambarasan. However, soon after the movie was released the couple parted ways. In 2008, Nayanthara started dating choreographer-actor-director Prabhu Deva. However, in 2012, the couple made a mutual decision to part ways. During her college days, Nayanthara took up a few modeling assignments. It was during this period that director Sathyan Anthikkad got impressed by her work and decided to cast her in his movie, Manassinakkare. However, having no interest in acting, Nayanthara declined the offer initially only to accept it later. The movie was released in 2003 and went on to become a commercial hit. Post the success of Manassinakkare, Nayanthara received various acting offers and went on to appear in two Mohanlal starrers in the year 2004 - Natturajavu and Vismayathumbathu. After starring in a few Malayalam movies, in 2005, Nayanthara made her Tamil film debut with the movie Ayya. The movie turned out to be a hit and her work was praised by the critics and audiences alike. In the same year, she starred alongside Rajinikanth in the horror-comedy flick, Chandramukhi, which went on to become one of the most successful Tamil cinemas ever made. The movie ran for 800 days in theaters and established Nayanthara as one of the most sought after actresses in the Tamil film industry. Being successful in Malayalam, and Tamil movies, in 2006, Nayanthara made her debut in the Telugu film industry with the movie, Lakshmi. 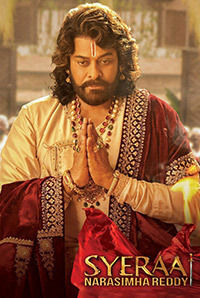 Although that the movie as declared as a super hit at the box office, it received mixed reviews from the critics. The year 2006 turned out to be mediocre for the actress as her three other Tamil releases - Thalaimagan, Vallavan, and E - were average hits. In the year 2007, Nayanthara delivered a power-packed performance in her only release of the year, Billa, which went on to become a huge box hit. Following the success of Billa, in 2008, Nayanthara starred in a Family entertainer, Yaaradi Nee Mohini, portraying a non-glamorous role, breaking the stereotype. She went on to the win the Vijay Award for Favourite Heroine and was also nominated for Best Actress at the 56th Filmfare Awards South. However, her subsequent releases that year turned out to be average hits and her sole release in 2009 was not well received as well. Having received moderate success at the box office for two years, in 2010, Nayanthara delivered five hits in four Southern languages. She appeared in Bodyguard (Malayalam), Simha (Telugu), Adhurs (Telugu), Super (Kannada, Telugu), and Boss Engira Bhaskaran (Tamil). She followed this up with two releases in the next two years - Sri Rama Rajyam in 2011 and Krishnam Vande Jagadguram in 2012 - both these movies were critically acclaimed at the box office and she was applauded for her work. In 2013, Nayanthara appeared in Raja Rani, her first Tamil movie after three years. An outright critical and commercial success, the film also earned the actress her first Tamil Nadu State Film Award and second Filmfare Award. Subsequently, the actress continued her fine run with hits like Masss (2015) and Thani Oruvan (2015) before winning her next Filmfare Award for her work in the black comedy Naanum Rowdy Dhaan (2015). Two of the three films Nayanthara appeared in 2017 featured her as the solo lead in woman-centric stories: these were the horror thriller Dora (2017) and the political drama Aramm (2017). While Dora fared reasonably well at the box office despite the mixed reviews, Aramm was a major success both in terms of box office returns and critical reception; thereby cementing her status as the 'Queen of Kollywood'. 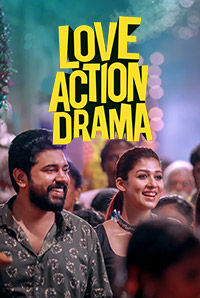 In 2018, Nayanthara essayed the titular role in the Tamil black comedy Kolamaavu Kokila, which was directed by Nelson Dilipkumar. Her stellar performance as an ordinary girl who resorts to extreme measures after being caught up in a smuggling ring's machinations was applauded by the critics and the audience alike. In the same year, the actress also appeared in the thriller Imaikka Nodigal (2018), where she starred alongside Anurag Kashyap and Atharvaa Murali. Among Nayanthara's other notable projects in recent times are the Malayalam romantic comedy Love Action Drama, the Ajith Kumar starrer Viswasam (2019) and the Telugu movie Sye Raa Narasimha Reddy (2019). During the release of her film Dora, Nayanthara who plays the lead role in the movie had a cutout of herself raised at the Albert Theater. This was the first time in the history of Tamil cinema that a female actor had a cutout raised.